I’ve never liked the terms “good fan” and “bad fan” … in my mind, we’re all just plain “fans” who have good days and bad days. 1. 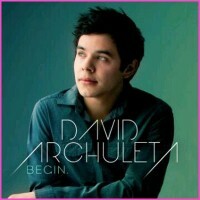 I have purchased every single David Archuleta album: Start with 10 points. 2. But I couldn’t bring myself to buy the stooopid memory box: Subtract 10 points. 3. I’m one of those people who spends most of David’s concerts filming or cell-casting them to share with others: Add 1,000,000 points. 4. I have been known to tweet “David Archuleta doesn’t walk, he floats on silver-lined clouds of magnificence that radiate with the perfection of a thousand stars”: You’re right… but subtract 1,000,000 points. 5. I’ve gifted other fans with concert tickets or CDs at least once: Add 500 points. 6. Pre-mission, I mailed several letters to David that included self-addressed envelopes… doused in perfume: Subtract 25 points and return the grass you stole from his yard. 7. I try to donate to David’s charities when I can: Add 65 points. 8. I’ve been known to creep David’s friends and family on social media: Subtract a point for every incident… two points for downloading family photos. 9. I’ve gone way out of my comfort zone by traveling to faraway David performances: Add 100 points. 10. Cozying up to David’s team has wrangled me backstage/meet & greet opportunities: Subtract no points but feel the daggers of 1,000 jealous fans. 11. I power-voted for David on Idol: Add 1,000 points. 12. I fake-name-and-age voted for David for the Teen Choice Awards: Add 2,000 points… and you can throw out the Clearasil now. 13. I wish this was a pic of David and not his cousin Fernando: Subtract 25 points and wash your eyes out with soap. 14. I’ve never seen David live and my country will probably never be on his tour list but I’m still his forever fan: Add 2 million points. 15. I believe he’s keeping his hair so short because he doesn’t want anyone but himself selling his locks on eBay: You’re right… but still subtract 50 points. 16. I am listening to David’s music less and less and Beebs’ and Miley’s more and more: Subtract 50 points and smack yourself in the head. 17. I cried when he made his Announcement… with sorrow: Add 250 points. 18. I cried when he made his Announcement… with joy: Add 250 points. 19. I like his songs but download them for free online: Subtract all your points and set yourself on fire. 20. I have Chords of Strength memorized: Subtract all your points and set the book on fire. 21. I love Elevator: Add a bajillion points and come on by for cake anytime. 1-250: You barely scrape by as a fan. In fact, your stan card is under review for possible revocation. To be reinstated, you need to say four verses of Prayer of the Children and the Fa La La poem… aloud… on your lawn. 500-750: You are an average fan. You are so average, in fact, that you probably aren’t reading this because you aren’t extreme enough to troll Twitter or lurk on fan sites. It is rumoured you spell Archuleta with two “Ts”. 850-1,000: You are a goodish fan. You only bought his Idol tracks and Glad Christmas Tidings. You might consider buying more if he comes back and duets with Susan Boyle. 1,000-1,200: You are a moderate fan. Moderately insane. You have so many David autographs, you’ve considered forging cheques with them. You sublet in Rancagua and sleep with a Josh Bradley body pillow. 1,200+: You are the perfect fan. * David has no clue who you are and he likes it that way. But he appreciates everything you do so much that when he looks straight into the camera during “Touch My Hand,” he is totally looking at you. For real. *Yes, this was my score. Thanks for asking. 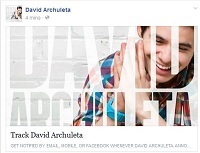 This entry was posted in Utter nonsense and tagged David Archuleta fans are bettah. Bookmark the permalink. And a ❤ for karenkid, too. Really, though, I love everything about this post. So, so funny. I need some help with the math; but I’m in one of those categories for sure, and still giggling. Ok, this had me LOLing big time!! I’m in the 1200+ category (no surprise there, I’ve acknowledged the insanity and refuse all treatments offered!). Just wondering how many more points we get for things like having a “David wall” (pics, posters) somewhere in our home, having a large box of David mementoes (NOT including the stoopid memory box which lives happily in my bedroom drawer holding precious fake jewelry), dragging spouses to concerts, planning all vacations around said concerts (OMG had to think of locations for the past 18mos), and enduring mocking from co-workers who are aware of the addiction? Just wait, it’s gonna get worse when David comes back!!! 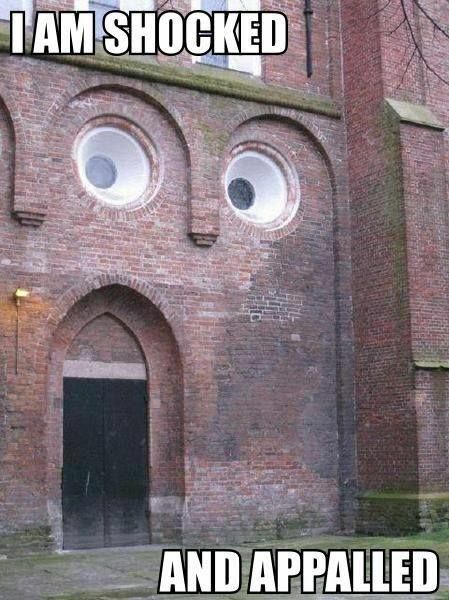 And I am coming over for cake too….. LOL!!!!!! This is epic awesome!!! love love love!!!! i am left with just 10 points, returned the grass, sang the falalala song, and washed my eyes with soap but coming by for a cake anyway 😀 love love love your humor. Haha, very clever TOfan, another genius post! Had many laughs doing this for fun and some truly awww…..moments. Well, guess I’m somewhere around a bajillion plus points, lol. Do love Elevator too, one of my definite feel good songs from that album, in fact when I simply want to be ‘elevated’, I listen to it or watch that Z100 video! This: “You are a moderate fan. Moderately insane. You have so many David autographs, you’ve considered forging cheques with them. You sublet in Rancagua and sleep with a Josh Bradley body pillow.” Still laughing, do have so many autographed items, non of which I received in person. All so funny! A good way to ‘lighten’ the fanbase when things get too serious and sensitive. 🙂 Just got back from a Nurses Reunion(50 plus years) and think I deserve Extra points for trying to explain that I’m a fan of David Archuleta. Some jaws dropped when I talked of waiting in line for 9 hours for a GA concert after traveling by myself to Reno, Nevada for my first concert after meeting people on line etc etc. Not to mention the travels to Salt Lake, Beaver Creek, etc etc. It all started when one of the gals who follows me on Facebook saw all the friends postings of David Archuleta. She asked me if I was related to him, since there were so many postings over time. You had to be there to appreciate it but I’m sure you all have experienced it. One guy from Napa said he told his wife going to San Fran was too far 🙂 He further added that he was sorry he didn’t take the opportunity he had in the past to see Elvis and others that he liked. For the second day in a row, I have logged on to my WordPress to put a comment here and I for some unknown reason made a super-hard password for that account. Anyway … laughing all over again at your post TOfan. When my new next door neighbors were moving in, I went to introduce myself and blurted out, “I’m a huge fan of David Archuleta”, which was met with a quizzical look and made me feel a bit … er … crazy. Turned out the people I met were the in-laws of my new neighbors and not the neighbors themselves. I have yet to tell the actual new neighbors I’m a huge fan of David Archuleta and they’ve been here at least 3 years now. Guess I’ll have to add points for the original blurt and subtract points for not telling the actual neighbors. 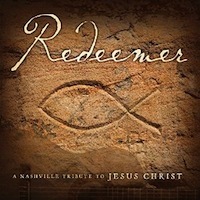 Of course, they’ve probably heard David’s cds playing and have figured it out. I lost track of counting my points cause I didn’t have a calculator handy. 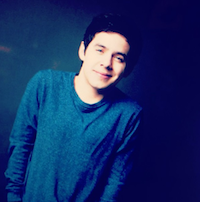 Suffice to say, I love being a David Archuleta fan and love his fan base. 😀 Thanks for the laughs! …You’re right… but subtract 1,000,000 points. Oh and I have to let you know that I saved a PDF of that David-Fernando post a while back cos I think it was too precious! i hope David sees ALL your posts sometime soon! Lololol. I believe I have about 500,065 points minus a handful for the social media thing, but should we get bonus points for filming concerts while being repeatedly reprimanded by security, or should that count as a demerit? YOU ARE KILLING ME, DAVID, AND YOU’RE NOT EVEN HEEEEERE!!! Also, can we please have an acoustic album, an acoustic tour, an acoustic 3D movie and an acoustic theme park ride. I just noticed the “more info” says: “David and Yusaini Samat (who played guitar for David while in Singapore) played around with some acoustic covers during some downtime between shows and this one we recorded.” … this ONE we recorded? ONE??? … yes I know, better than NONE… but still, lol. Oops, I just reread your post and realize I DID have to subtract points. I’ll never admit which ones though…. LOL TOfan! Loove this post… and love your humour and love your writing and love all the comments! Don’t ever stop writing! I lost count cos this “very bad fan” was busy rolling on the floor!! Heheheheheeeee…. LOVED this post, TOFan!! Thank you! And thank you for the mp3! eeeep, the Heaven vid is up to 10,288 11,137 views already! I sooooooo hope Kari has more of these up her sleeve … not just for us (no, really)… but to get non-uber-fans excited about him coming back. … after all, who can resist the magic of the live Archuleta? Great way to start the day laughing!! Never strop writing, you’re witty and you know us all so well! !